Exhibiton at AB Design and Interiors. September 2018. My first show of the autumn will be in London on 28th and 29th September where, in a beautiful house in Dulwich Village, a number of my framed pictures will be on show as part of a group show. 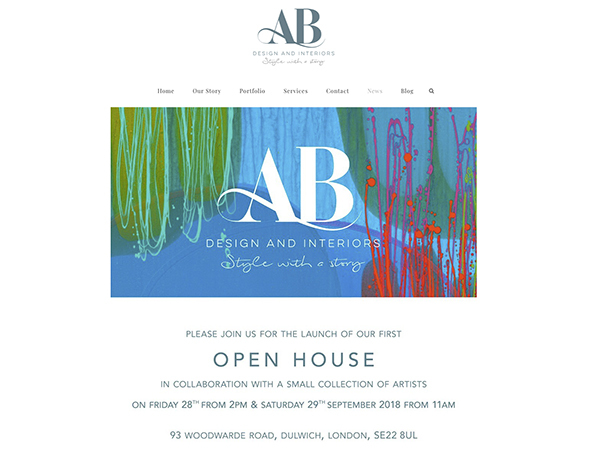 AB Design and Interiors will be hosting at 93 Woodwarde Road, SE22 8UL. Full details on their site by clicking the link. There will be more information on forthcoming winter shows soon. This entry was posted in Uncategorized and tagged AB design and interiors, art, art show, autumn, botanical, colour, colour art photography print, exhibition, fine art photography, floral framed prints, floral photography, flower fine art, flower photo print sale, flower photography, flower prints for sale, for sale photo flower, horticultural photography, kevin dutton, kevin dutton photographer, london, photography, plant, plant fine art, plant photo print sale, plant photography, SE22, tulip.